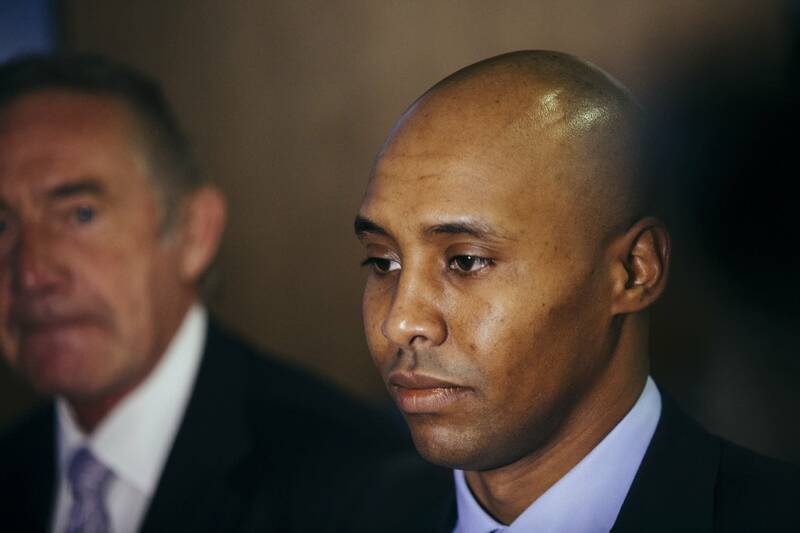 A Hennepin County District Judge has denied a motion to place a court filing under seal in the case of former Minneapolis officer Mohamed Noor, who faces a trial in the shooting death of Justine Ruszczyk. The request by Noor's attorneys would have sealed a motion they filed last month. The attorneys had asked the court to suppress Noor's psychological records obtained in two search warrants. Judge Kathryn Quaintance wrote in her decision on Tuesday that Noor's attorneys argued in private on Aug. 19 that sealing a suppression motion and "correlating exhibits" are necessary to protect "confidential and medically privileged" information. Quaintance wrote that "embarrassing and private records are routinely admitted to court proceedings open to the public," and that the defense didn't present evidence "to support the proposed sealing of a pretrial motion to suppress on these grounds." In a motion dated Aug. 10 that's been made public, Noor's attorneys asked the court to suppress evidence obtained from two search warrants last year. The search warrants requested "psychological records" related to Noor from the Minneapolis Police Department and a doctor who worked for the department when Noor was hired, according to the filing. Noor's attorneys argued that the search warrants "violated the physician-patient privilege" and that Noor had not consented to his medical records being used in the case. Noor, 32, is charged with third-degree murder and second-degree manslaughter for shooting and killing Justine Ruszczyk while on duty as a Minneapolis police officer on July 15, 2017. Ruszczyk had called 911 to report what she thought was a woman being assaulted in the alley behind her home in southwest Minneapolis. Noor's next appearance in court is scheduled for Sept. 27.